Coming Up For Air - To Share! Hello, all! 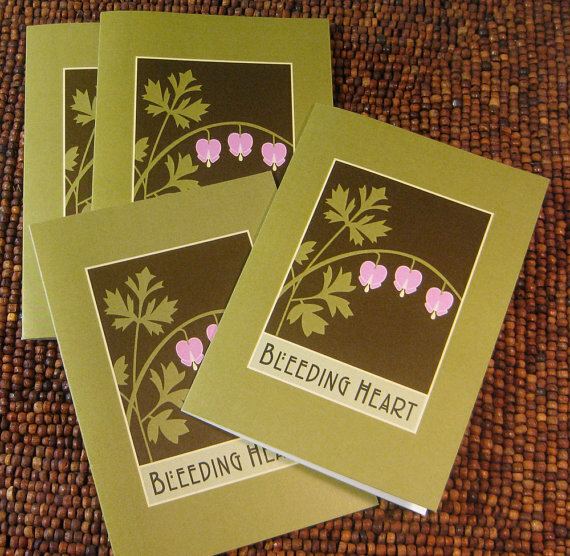 I've still got a bit of editing left to do on Bleeding Heart before I send it to my proofreader. (Dare I hope I can send it this evening? Still aiming for that goal!) So I've been keeping busy with that and with my freelance editing business - updating my website, preparing a newsletter, sending out blog tour invitations, completing a proofreading project, keeping up with e-mails, etc. Unfortunately, I haven't had much reading time, so no new reviews to share with you yet...but I'm hoping to squeeze in some reading during a trip this week, so we shall see! 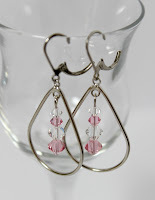 In the meantime, I had to come back to the blog to share some cool links with you! AND! Lena now has a name for her business: STONE LILY Publishing & Design Services! I highly recommend her services for both formatting and cover design. She is talented and absolutely delightful to work with. 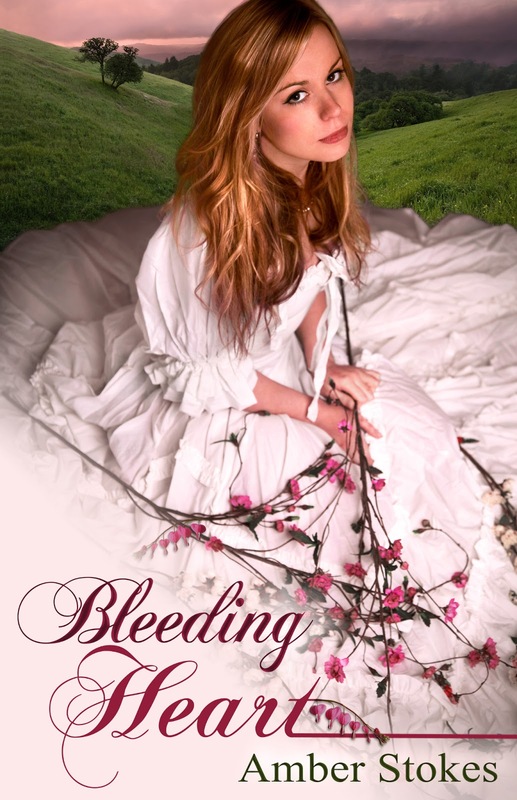 Not only did she give me a beautiful book cover that fits the tone of my book perfectly, but she will also be doing the print formatting and print cover for Bleeding Heart! Exciting stuff!! Hope you all are having a marvelous week so far! I've been overwhelmed a bit (!) lately, but everyone has been so patient and encouraging (shout out to my Twitter friends - you all rock! ), and after the stress of Sunday I was blessed with a super sweet Monday. So grateful for God's tender mercies! Hopefully I'll have some more book reviews for you soon! And July should be a really exciting month - review e-copies of BH to send out (!!! ), and several super fun blog tours (a couple of which I'm setting up)! ...then please e-mail me at amberstokes@corban.edu. I'd love to have your help with any of these projects! Talk to you all in a bit! 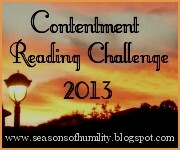 Well, I apologize that I never posted a May update for the Contentment Reading Challenge 2013! I guess there wasn't much to update on my end, seeing as how I didn't re-read anything in May, LOL. However, I did re-read a book this month (bringing my total up to 4)! 1) The cover has purple on it! 2) Isn't the mist so fascinating? 3) He looks like he's about to disappear, and the girl is holding tight to his hand, looking up at him. Color me intrigued! So, I dove in and devoured the story. It brought me to tears near the end the first time I read it...and the second time, too! I don't imagine there are a lot of stories that are super fun to read again after only a few months, seeing as how the plot would still be rather fresh in one's mind. Yet, I still found this story engaging, enjoyable to re-visit, and - once again - touching. I think what made this a great re-read was seeing the beginning, the clever lines (including the definitions given at the start of each chapter), and the character growth while knowing the end result. It was fun re-discovering gems and noting ones I hadn't highlighted before. I really enjoyed re-living the falling-in-love experience, and I think I loved Hobson the butler even more this time around. ♥ There are a few grammatical errors that slipped through the cracks and a handful of swear words, but my absolute love of the story kept those from being an issue for me. The characters don't always make the wisest decisions or say the right things, but I admire the authenticity and how dear the characters became to me. Recalled is one of my favorite reads of 2013 so far, and I couldn't resist choosing it as a re-read, especially since book 2 in the "Death Escorts" series (Charmed) is releasing soon! In fact, I signed up for the cover reveal towards the end of June, so I'm looking forward to sharing that with you all! Update (June 17th): I received the e-mail for the cover reveal tour and determined that the cover and content probably wouldn't match with my audience here. But you can check Cambria's site for more info on June 21st, if you're interested! So tell me, fellow CRC-ers, what have you been re-reading lately? Feel free to link up below! "Miri Brayden teeters on a razor's edge between placating and enraging her brother, whom she depends upon for support. Yet if his anger is unleashed, so is his madness. Miri must keep his descent into lunacy a secret, or he'll be committed to an asylum—and she'll be sent to the poorhouse. Ethan Goodwin has been on the run all of his life—from family, from the law ... from God. After a heart-changing encounter with the gritty Reverand John Newton, Ethan would like nothing more than to become a man of integrity—an impossible feat for an opium addict charged with murder. When Ethan shows up on Miri's doorstep, her balancing act falls to pieces. Both Ethan and Miri are caught in a web of lies and deceit—fallacies that land Ethan in prison and Miri in the asylum with her brother. Only the truth will set them free." Michelle Griep's books are gritty, suspenseful, and romantic. I fell in love with her time travel stories (Gallimore and Undercurrent), so I was eager to get my hands on whatever she wrote next! 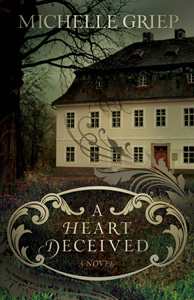 A Heart Deceived brings the reader completely into the past (no time traveling here! ), but it doesn't lessen the stakes or lower the tension. With confused hearts and blurred lines between lunacy and normality, this is a story that is both gripping and challenging. I appreciate how Griep causes the reader to look deeper at situations, along with the characters. There are some horrible facades and some more pleasant ones, but no matter the first impression, things are more complicated than they seem. Griep doesn't shy away from torturing her characters or having them experience the darker side of life, and that makes the hope all the brighter and the love all the stronger. I really enjoyed getting to know both Ethan and Miri, although I confess I would have liked a little more time with the two of them together. (The romantic in me always begs for more!) I also confess to being a little uncertain regarding how I really feel about certain outcomes and the portraits of certain characters. It's an intriguing story involving some harsh and terrible situations that make the reader think. Note ~ This book will be released in e-book format on June 20, 2013. If you missed my post last week (or if you'd like to check back in), you can click HERE to read it. You'll find a list of blogs that participated in the cover reveal toward the bottom of the post, along with an excerpt from Chapter 1, my thoughts on the cover, and more! Also, if you asked a question for my FAQs page as part of the giveaway, my responses are now posted! Congratulations, Heidi! I've sent you an e-mail! I hope you all have a fabulous start to your week! And if you're interested in reading a review of a new YA book from Playlist Young Adult Fiction, be sure to visit The Borrowed Book today! Another Adventure in Goldstone Wood! Dragonwitch is coming! In case you haven't seen the blog button in my sidebar announcing this fact, the fifth book in the "Tales of Goldstone Wood" series is releasing in July! From the cover art and the description of the book, it sounds like this will be a very different and unique addition to the series, as it appears to include a lot of characters I have yet to "meet." Looking forward to reviewing it in about a month! The sixth book in the series, Shadow Hand, has a cover - and it is beautiful!! Care to see that beautiful new cover?? Oh my goodness - I believe the cover for Shadow Hand is my favorite of the series so far!! And it has some tough competition, as the covers are all very enchanting and intriguing (and Starflower is especially lovely). But the colors on this one are absolutely stunning. The browns and reds speak of fire and danger; the blues speak of a depth permeating the story and a calm waiting to be found; and the green speaks of growth awaiting the characters in this wild land. The symbolism and tie-ins with previous covers and stories are incredible. The round frame of the rock brings to mind the cover of Heartless, as well as some familiar characters' stories coming full circle. The thorns are subtle - almost overlooked because the background is so bright - but still reaching out and perhaps causing the heroine to have that sense of foreboding hovering in her expression. Yes, the thorns are reaching up, but the trees and the bird (oh, that faithful bird - perhaps the same one depicted on the cover of Heartless?) are reaching higher. The heroine's dress is so ethereal - gorgeous but ghostly, like she just might prove elusive. And her hair suggests a fiery spirit that could both burn and ignite. The colors blend seamlessly together, giving the sense of a story that is full of imagery and meaning and life, as I'm sure it will be. By her father's wish, Lady Daylily is betrothed to the Prince of Southlands. Not the prince she loves, handsome and dispossessed Lionheart, but his cousin, the awkward and foolish Prince Foxbrush. 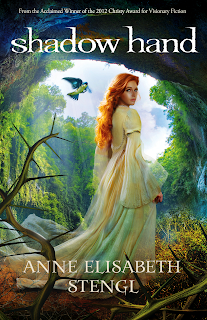 Unable to bear the future she sees as her wedding day dawns, Daylily flees into the dangerous Wilderlands, her only desire to vanish from living memory. A world that is hauntingly familiar." Learn more about the book at www.shadowhandnovel.blogspot.com. Another Adventure on the White Island! Krissi Dallas is back!!! I'm so thrilled to be a part of the cover reveal for her fourth book in the "Phantom Island" series, Watermark - releasing sometime this fall. Absolutely cannot wait to read the next installment, which promises to be worth the wait! It's quite possible you've heard me gush about this series either on this blog or on "The Borrowed Book" (with my reviews of Windchaser, Windfall, and Watercrossing). If you haven't, let me tell you right now: this is an awesome YA series, full of adventure, drama, romance, and a plot that pulls at the heartstrings while satisfying the imagination. I absolutely love the colors, and I'm so grateful to have paperback copies of each - they're beautiful! You can probably guess how Watermark looks, but knowing the pattern doesn't take away from the bright and epic feel of it. Check it out! Isn't it striking?? I love the color combinations here - intense turquoise and shimmery gold. 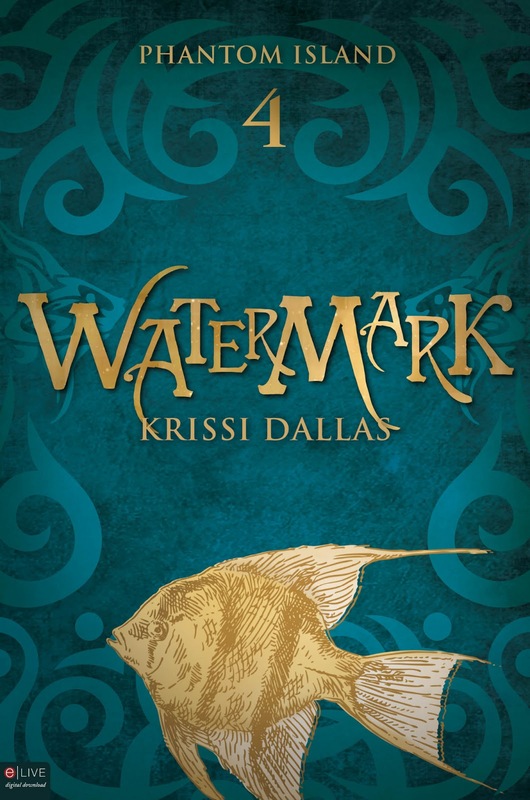 The swirls give a hint at the complexities and turmoil within the pages, but the direction of the fish (in a more upward slant vs. the downward slant of the one on Watercrossing) suggests that, perhaps, this ending might be more final and positive than the cliffhanger at the end of the third book. We're moving in a new direction, folks, and I am quite eager to see how this story plays out! "Relationships on the White Island are volatile and Whitnee, Morgan, and Caleb aren’t sure who they can trust—even each other. Politicians are lying, history is being rewritten, and motives are questionable. 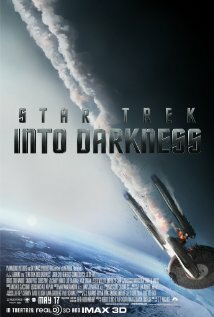 Whitnee sets out with Gabriel and a band of rebel spies to take back the enemy's biggest weapon—Whitnee's father. However, a shocking turn of events proves once again that the Island's secrets have the power to destroy more than just the truth. Separated from her friends, Whitnee battles her own fears in order to survive and protect the ones she loves. But when Morgan's illness finally comes to light, Whitnee faces a decision that could alter her future—and Morgan’s—forever. And whether she ultimately stays on the Island or leaves might not be her choice, after all." "Krissi Dallas loves pop music, mismatched socks, and fried chicken. 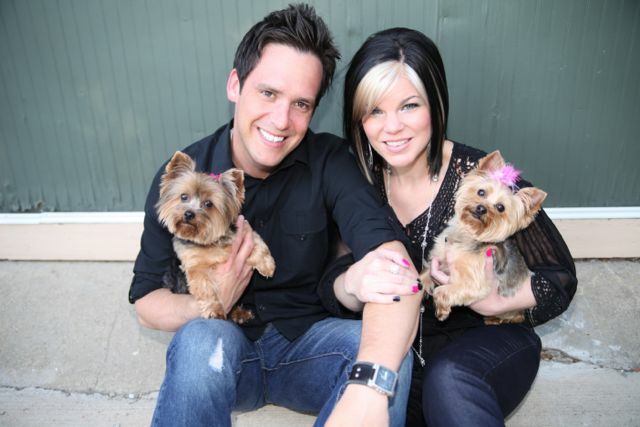 She lives in Fort Worth, Texas with her youth minister husband, Sam, and their two wicked Yorkies, Elphie and Luna. Krissi enjoys hanging out with her quirky middle school students and building the dramatic, magical, and mysterious world that makes up the Phantom Island series. Be sure to check out Windchaser, Windfall, and Watercrossing. Krissi loves connecting with teens, as well as readers and writers of all ages! You can stalk her online at www.KrissiDallas.com." 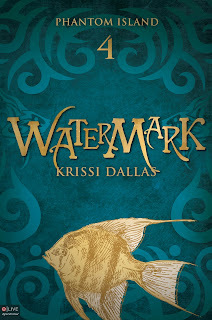 Krissi is generously offering a whole slew of prizes to go along with her cover reveal, including "an autographed Phantom Island trilogy pack, an autographed copy of Watermark when it releases, a tribal t-shirt, or an autographed copy of The Collector by debut author Victoria Scott!" Please note: Enter using the Rafflecopter form below! 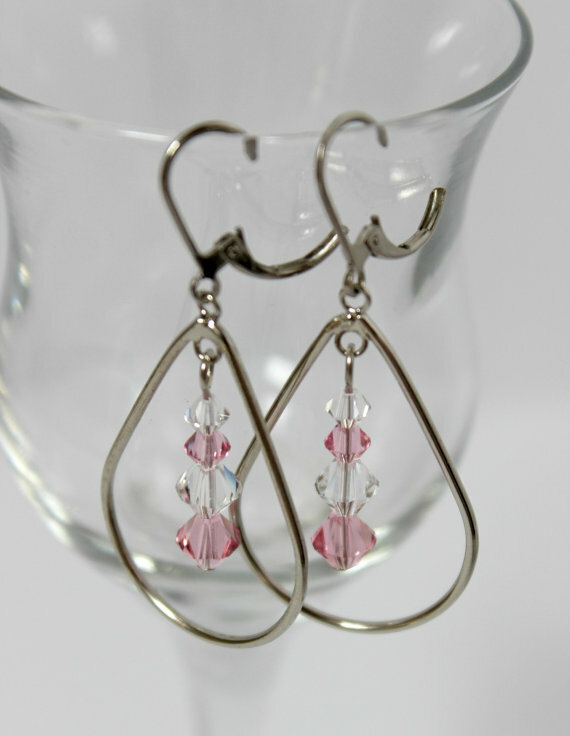 The giveaway will be open for entries until Friday, June 14th. You must have a U.S. mailing address in order to win. For one of the entries (and/or just for fun! ), click the image below to take the Phantom Island quiz and discover your tribe! A New Winner and Some Snack Size Reviews! 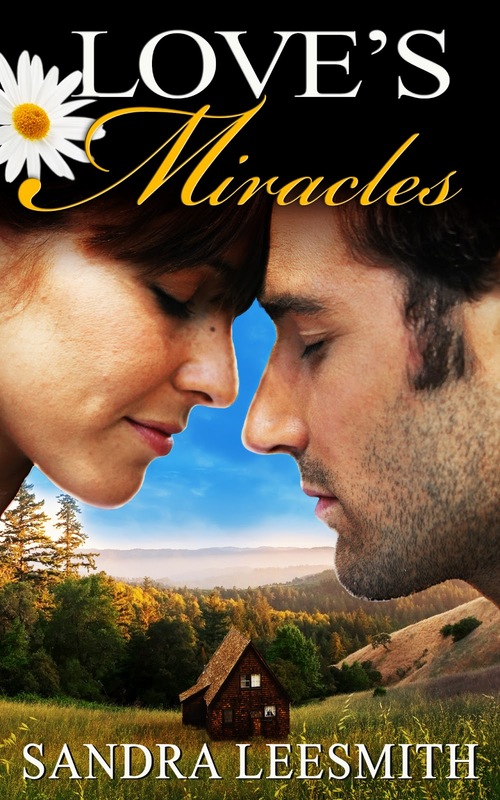 We have another winner for the Love's Miracles prize pack (prizes described in this post)! Congratulations, Veronica! I've sent you an e-mail, and you have until Saturday evening to contact me before we pick another winner. And now for some assorted snack size reviews! This is a totally sweet escape read with an endearing heroine and a charming hero reminiscent of Henry Tilney of Northanger Abbey fame. 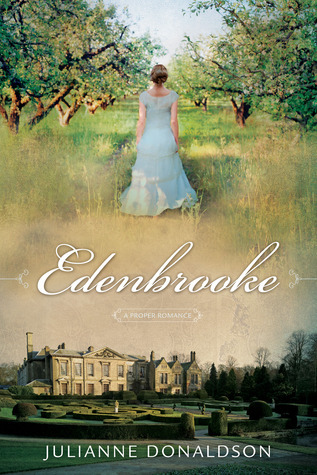 The setting is a Jane Austen dream, and certain lines and scenes are really delightful. The plot is fun and romantic. My quibbles stem from the hero's occasional attitudes or actions that rubbed me the wrong way a bit, a little like Tilney. That, and a little too much idealism for my taste. 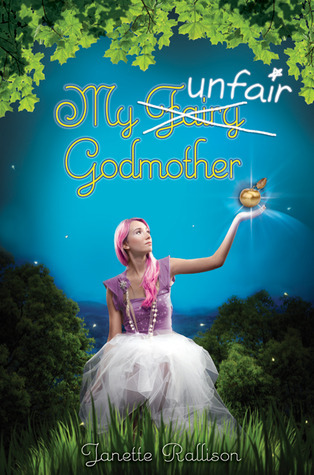 I adored My Fair Godmother, so I was eager to give the sequel a try. It turned out to be another highly entertaining read, this time with Robin Hood, Rumpelstiltskin, and some important lessons about true wealth. The hero is quite dashing (although I'm not sure he came across as "country boy" as he later claimed to be), and the story is fun. Didn't love it quite as much as the first, but I'd certainly love to read a third if Rallison writes it! I found this in the gift shop of the Prairie Creek Redwoods State Park visitor center, and I'm so glad I picked it up! I read it in preparation for diving into the edits for Bleeding Heart, and I discovered some wrong assumptions I had made and some facts (etc.) I might want to add to the story. As far as wonderful anecdotes and an obvious passion for the history goes, this book is super helpful! But what might have made it more so would be more dates and clarification (especially during the middle sections of the book) that would give a more detailed timeline. 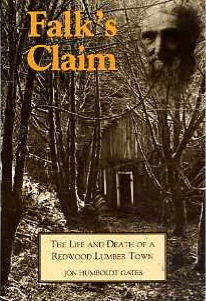 I have to note a line from the epilogue: "I realized that Falk, and all it stood for, would be preserved only in memories and photographs, for nature and civilization had conspired to wipe out the last vestiges of the town and the way of life it had represented." I have found this to be the case during my own visits to the site - so very little remains to indicate anything like a town had ever existed in that place. I hope that perhaps I can add "fiction" to that list of ways through which the town will be preserved. Cover Reveal for My Debut Novel!!! The day is finally here!! So much to cover (pardon the pun! ), so please bear with me as I ramble and gush! I've got the story behind the cover, a scene from Bleeding Heart, the lowdown on a new blog specifically for the book, a fun themed giveaway, links to blogs participating in the cover reveal, and the reason I'm "dancing like I'm 22!" (If you don't have a ton of time to spare, I recommend just scrolling down to the section(s) you're most interested in. This is going to be a long post! *wink*) Are you ready for this?? The process involved lots of chatting. There was a little bit of time between when Lena Goldfinch - dear friend, talented author, and cover-designer extraordinaire - agreed to be my cover designer and when we really focused on getting it done, so in the meantime I told her about the book and we ran ideas by each other. Lena introduced me to some stock photo sites when we were brainstorming my client Sandra Leesmith's cover and - later - mine, so we e-mailed each other links for a while. And then Lena brought me over to the dark side: I joined Pinterest. ;) She created a secret board that only the two of us could see, and that's when ideas really started flying! We pinned stock photos, covers we liked that were in the same genre, pictures we had taken or found that helped us grasp the vision, etc. We ended up with 79 pins total! To give you an idea of what this board looks like and how our vision changed... Towards the bottom you would find train images and various models in fancy dresses and/or various blondes. Scrolling up, you'd start to see some example covers (among them Courting Morrow Little, Wind Over Marshdale, and Love in the Balance). Then some mock covers with trains in the background, followed by images I found or uploaded to help set the scene and give Lena a better idea of the story. My first comment on the pin: "Aaaaah! Lena - I like, a lot!! It's so perfect!! Oh, do you think we could use this one??" After that, the rest came together splendidly. (Not to say that everything was easy after that, though, as Lena still had a ton of work left to do on the details for the background, the flowers on the model's dress, the font, etc.) The picture cost $29, which is really not that bad for finding the right model! While I debated between two California sunset pictures - a hillside scene and an ocean scene (thank you to Twitter friends for the feedback, by the way!) - we ended up going with the hillside. There was something about the mood of the image, with the fog and the trees in the background, that fit the main setting of the story better, and the angle and spaciousness of it fit well with the model's picture. Plus, I figured I could wait to use an ocean background for a possible future story it would work better with, you know? What I Love: The model's expression, caught halfway between flirty and pleading, with something almost "hard" in her eyes. Her posture, which seems both defiant and defeated. Her hair and her figure, which fit Sally so well. The inclusion of some sprigs of bleeding hearts, as the flower is mentioned in the story and the name of the flower plays a strong thematic role. The fog and the distant hills/trees, which fit the darker tone of the story and also match part of the main setting. The hillside, which is similar to the setting of at least one particular scene (I'm still editing, so I might be adding scenes...). The strong lines of the branches she's holding in conjunction with the dividing line between the title and my name. The title font, which is beautiful and matches the genre, along with the simple but lovely dress. The title colors, where "bleeding" is a darker shade. 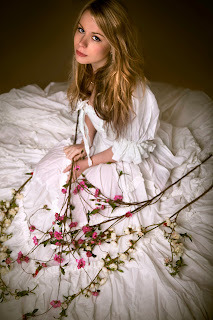 And the whole concept, where the eye is drawn straight to the model's arresting gaze, and then slowly led down to the title "hidden" (but still plainly visible) among the flowers of her dress. There was no way on God’s brown desert dirt that Sally Clay was going to marry Rufus O’Daniel. 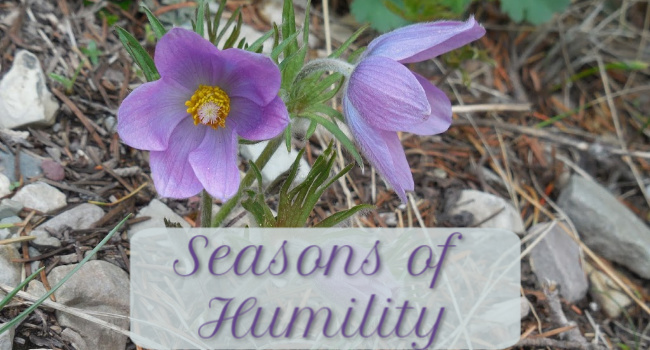 As she hurried through town to the train station, Sally thought about how she was now in the same predicament she had been in three years ago, back when her whole world had broken into pieces as numerous as the sagebrush bushes on the hillsides. It didn’t matter that Rufus was one of the wealthiest men in the whole state of Nevada – a silver baron who knew when to stop mining, while others squandered their wealth away trying to make the earth give up more riches than it contained. She was through with men’s tricks. This time, she was going to be the one to leave. As much as she hated Jacob Lawson for selling his business and leaving her jobless, she recognized a glimpse of freedom when she saw it – and perhaps a foretaste of sweet, sweet revenge. The details were still undetermined, but the man had it coming to him, and soon. Over two weeks had passed since she had been booted from her room on D Street, in “Sporting Row.” She had spent most of her money, as well as some feminine persuasion toward the right man, staying at the hotel for that time. The quiet and the independence were far more of a luxury than the fancy furnishings and the modern conveniences. But Rufus wasn’t taking “no” the way she intended him to, and the desire to bolt had been building up inside of her for a long time. Now she was finally going to give in to the urge. Spotting a familiar face in the line at the ticket counter once she arrived at the station, she rushed to his side. “Joe?” She touched his arm and put on her best desperate look. It wasn’t too much of a challenge at this moment. Peering around his tall frame, she saw another familiar face. For the first time since the day she found herself begging Jacob for a job, shame burned through her. It was a rare day when she blushed with embarrassment anymore. “I know you don’t owe me any favors, but you and Jacob were friends for a long time. And with Jacob leavin’ and all… Well, I’m out of a job.” She swallowed, longing for some water and a moment to plan the rest of her speech. She knew the word “company” was a mistake as soon as it slipped past her lips. Joe’s eyes turned rock-hard and he shook his head vehemently. Then he had the nerve to laugh. What are your first impressions regarding the heroine? Would love to hear your thoughts! Huge thanks to Anne Elisabeth Stengl, who not only encouraged me to put together a giveaway for the cover reveal (below), but whose novel blogs served as inspiration and templates for me as I worked on putting together my own novel blog. I so admire Anne's creativity! To build up excitement (and I think today is a great day for presents! ), I've got a themed giveaway for you all! Want to see what you can win? Just use the form below to enter! Please note that this giveaway is for U.S. residents only. Feel free to e-mail me if you have any questions about how to use the form! 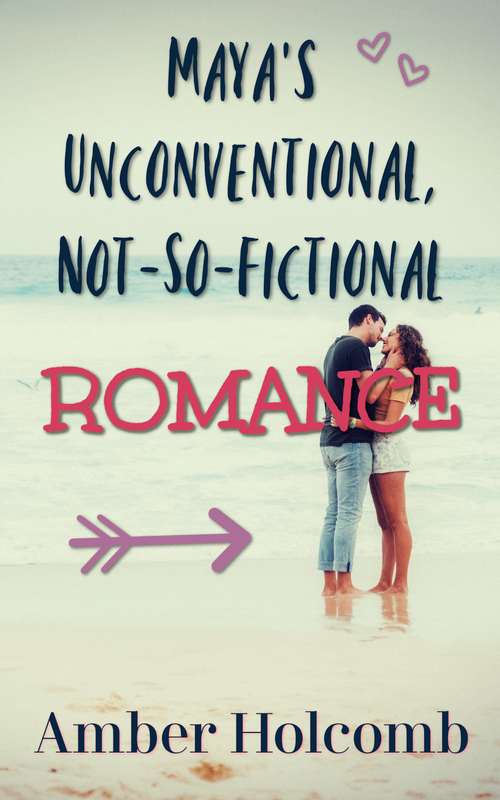 You might just find the prequel (from another character's POV), some info about me and Lena, and maybe some of the bloggers' thoughts on the cover and whatnot - so I do hope you'll visit them if/when you can! Have a delightful Monday, and do please share your thoughts on the cover or whatever is on your mind - I love chatting with you all!